The local government chairman of Etim Ekpo LGA of Akwa Ibom State, Hon. 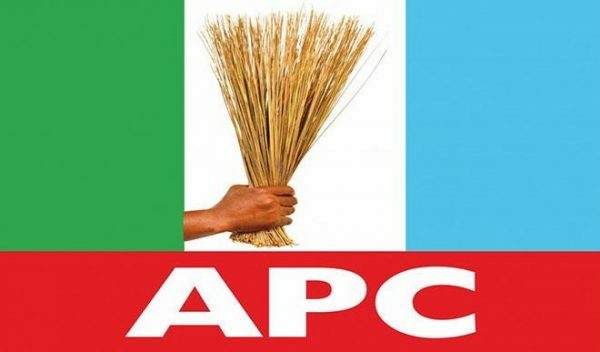 Udeme Eduo has cautioned a chieftain in the All Progressives Congress, APC, in the state against raising a false alarm of security crisis in the council. He made this call at the weekend following trending media report that ex-militants in the council sacked the council boss and attacked residents of the area. Eduo insisted that the story was sponsored by the unnamed APC chieftain to tarnish the amnesty deal of the state government. Eduo stated that the peace deal and amnesty programme granted the ex-militants is working, with the government doing its part while the boys are co-operating with the authorities to ensure maximum success. He maintained, â€œNo ex-militant participated in any demonstration nor carried placards against the government, what I have on good authority was that a serving rep member who is desperate to return for a third term to the National Assembly mobilized few disgruntled APC youths and asked them to go protest around council secretariat to discredit governmentâ€™s genuine efforts at restoring peace and sanity to the areaâ€. The council boss added that the boys, who acted the script of the lawmaker, were few APC boys on the rep memberâ€™s payroll, stressing that the leadership structure of the repented militants have completely dissociated themselves from the charade. He warned that government will not take lightly any attempt by politicians to create unnecessary fear and panic among the people, and urged the people of Etim Ekpo to go about their lawful duties as the administration of Governor Udom Emmanuel is working round the clock with stakeholders to ensure peace, stability and development in the state. Meanwhile, the Akwa Ibom State Government has warned opposition politicians in the state against instigating cult war with the intention of creating a false sense of insecurity to disrupt the peace and tranquillity the state has enjoyed in the last three years. The commissioner for Information, Mr Charles Udoh, in a press statement issued to journalists in Uyo, drew the attention of the public to the existing Cultism and other violent behaviour prohibition order 2018. He said, â€œThe order, which became effective from March 12, 2018 and is still actively in force, prohibits and bans the operations and recognition or activities of all cult groups. â€œThe State Government in conjunction with security agencies will continue to do all within its powers to preserve the extant laws of the land and protect lives and properties while the full weight of the law will be visited on any persons (irrespective of political affiliation) who instigates, sponsors or employs violence in any form or semblance within the stateâ€. The commissioner urged law-abiding citizens of the State to vigilant and charged security agencies to be on the look out for any suspicious activity that could threaten the maintenance of peace and security in the state.